SPEC HOME UNDER CONSTRUCTION - BUILDER & LENDER INCENTIVES AVAILABLE - TOUR ALL 4 NEW MODELS - SALES CENTER AT 4204 PRAIRIE DRIVE BRIGHTON, CO 80601 - Welcome to Brighton East Farms & Sheffield Homes where Quality & Amazing Finishes are Top of Mind! 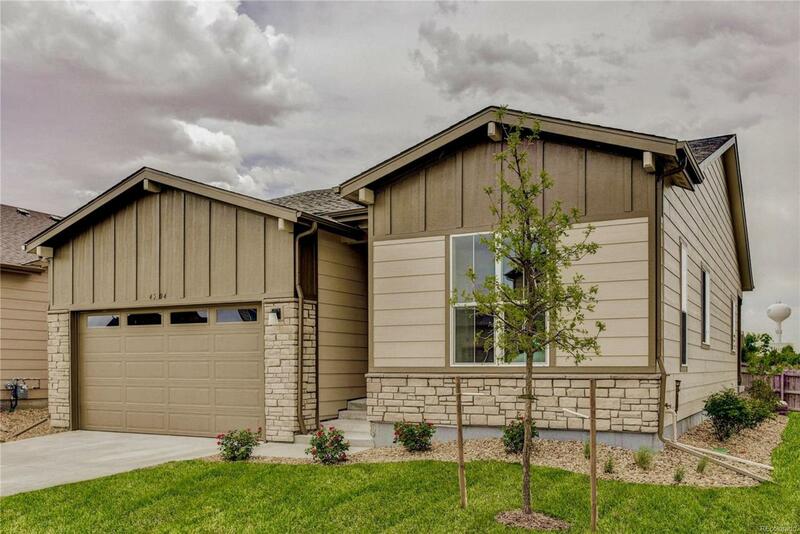 Gorgeous Ranch Home offers an Open Floor Plan & Beautiful Selections of Interior Finish Packages to choose the Style that suits you from Modern to Classic! Beautifully appointed Home offers 3 Bedrooms and 2 Bathrooms. Main Living is Open with High Ceilings & a Kitchen Design that includes a Center Island that flows beautifully with the Great Room & Spacious Dining area & easy access to the Patio.